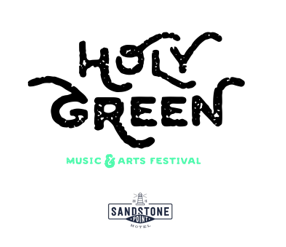 Announcing the first edition of Holy Green Music & Arts Festival 19’ set to take place over Australia Day long-weekend, Sunday 27th January, 2019. The brand new festival will make bring one hell of a party. Holy Green will take place by the foreshore of Sandstone Point Hotel for a day of sun kissed skin and feel-good music. Headlining in 2019, Australian based band STICKY FINGERS will take the stage performing hits like “How To Fly” and “Australia Street”. Also on the roster, New Zealand’s very own SIX60 will unleash their awesome rock pop tunes “Closer” and “Don’t Forget Your Roots”. Known for creating Miami vice, poolside vibes indie pop duo Client Liaison are also performing at the Holy Green Festival dropping hits like “World Of Our Love” and “Off White Limousine” to the crowd of sun-soaked fans. Just when you thought it couldn’t get any better, alternative rock band The Rubens will also be bringing their indie rock sound to the festival with hits like “Hoops” and their platinum charting song on ARIA Charts “Never Ever”. Along with our already stellar line-up we’ll have 8 x platinum selling artist Starley, joined by artists such as JOY, Paces, Slum Sociable and Blasko & The Lazy Boys. The perfect summer-time destination, Sandstone Point Hotel is where music meets the sea. Dance in a field of grass with some of Australia’s most talented artists performing in front of the hotel’s iconic waterfront backdrop. Combined with a lineup perfect to set the tone for what will be a day like none other, there’s not a more magical place to let your hair down. Also topping off the day will be an International food village where the best eats in town can be found. Sink your teeth into something salty or savoury right here! Feeling a tad thirsty? Enjoy a selection of the finest craft beer and other refreshing bevs under the shade of palm trees. Sandstone Point Hotel is excited to announce that travellers now have a place to stay on their shores over the concert weekend! Opening late 2018, the hotel’s very own resort is just a stone’s throw away and will offer camping as well as other accommodation options for concert goers. Festival camping at Sandstone Point Hotel really is an epic way to enjoy the event. The best bit? You’re a stone’s throw from the festival, and you won’t have to worry about transport home at the end of the night. Please note festival camping does not include the use of Sandstone Point Holiday Resort’s facilities. Each person camping must purchase a camping ticket. Camping is sold per person not per tent. Only persons with a valid camping ticket will be allowed access into the campgrounds. Camping tickets must be purchased online. Camping tickets can NOT be purchased on arrival to the campsite. The price of a camping ticket does not include tent hire. You will need to provide your own tent. Campsites will be allocated by event staff. You must keep all your gear within the designated areas. This includes ropes and tarps. You CANNOT reserve campsites. If you wish to camp near your mates plan on arriving at the same time. Due to space limitations your camp setup must be minimal. Overly elaborate campsites are not permitted. Respect your neighbours and please keep noise to a minimum. Please keep all valuables locked in your car or in your possession at all times. Better yet leave them at home. Campsite will be open from 1pm-10pm on Saturday and from 7am till 3pm on festival day. You can only arrive at these times. Toilets and warm showers will be available for camping patrons. Campers will have access to the Sandstone Point general store which sells food items, toiletries, coffee, toasties etc. Bag checks will be conducted on entry and police reserve the right to conduct their own searches. There is NO power within the campsite so leave the hair straighteners at home. ALCOHOL. Any persons found bringing alcohol into the campsite will have it confiscated by event security. Police reserve the right to patrol the campgrounds at their will. GLASS. For the safety of all campers, there is strictly NO glass allowed. Weapons and fireworks. Anyone found with dangerous weapons or fireworks will be reported to the local onsite police. NO Large BBQs or open flames. The campgrounds are packed with people and very flammable materials. Please leave the big gear at home. A small gas camping stove is ok but unless you really need it please don’t bring it. DRUGS. Everyone knows the deal. If you get caught with drugs you will spend the night in the lockup and miss all the fun. CAMPFIRES. Yes we understand the tradition of campfires whilst camping but please keep in mind we need to ensure everyone’s safety. We CAN’T stress enough the importance of NOT lighting fires please help us out here. All concert’s at Sandstone Point Hotel are NO passouts! Please take everything you will need for the festival with you. You will NOT be admitted access back into the campground once you have entered the festival site.